12 Volts, 5 Watts, 0.27Amps Solar panel. Great for fountains, camping or battery trickle ch..
alert("Product sold out. Click OK to view a similar model. "); window.location.href="http://www.ga..
18 Volts, 20W, 1.24Amp solar panel. Great for Camping, Marine, Hobby Elect..
18 Volts, 40W, 2.44Amp solar panel. Great for Camping, Marine, Hobby Elect..
6 Volts, 135mA PV (Photovoltaic) polycrystalline solar panel. 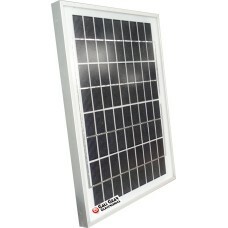 Great for Hobby E..
9 Volts, 1.7 Watts, 185mA polycrystalline solar panel. Great for Hobby Electronics o..
9 Volts, 4W, 480mA Monocrystalline solar panel. Great for Hobby Electronics or&..